It's no secret that internet users are no strangers to seeking out the information they need online -- in fact, Google now processes over 40,000 search queries every second. As a reaction to some of these disruptive online ads, internet users have started installing ad blocking extensions by the millions. In case you're wondering: Ad blockers scan websites for advertising code to prevent them from loading on a browser. 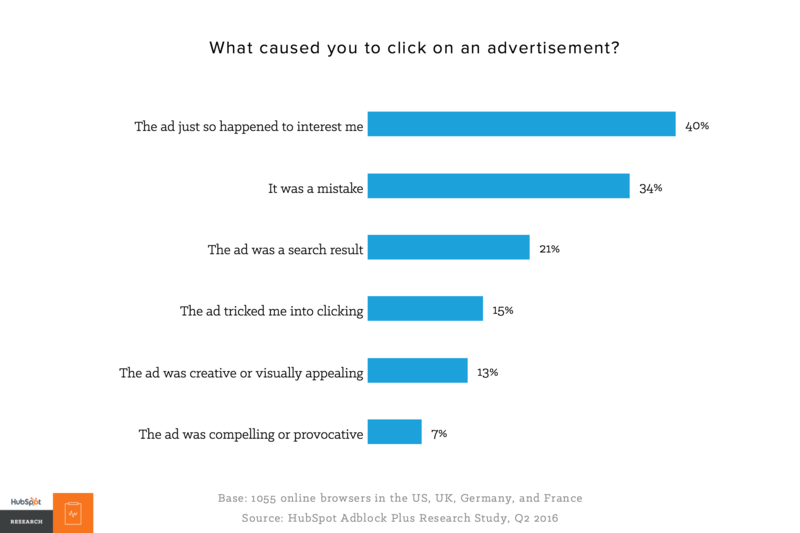 To help marketers get a handle on the state of ad blocking today, HubSpot Research dove deep into the issue to create this report. Below, we've outlined some of they most noteworthy statistics and takeaways from our research to get you up to speed quickly. 1) Adblock Plus, the world's most popular ad blocking extension, has been downloaded over 500 million times. Many research and news sites have different numbers, but it's hard to ignore the hockey stick growth in adoption here. 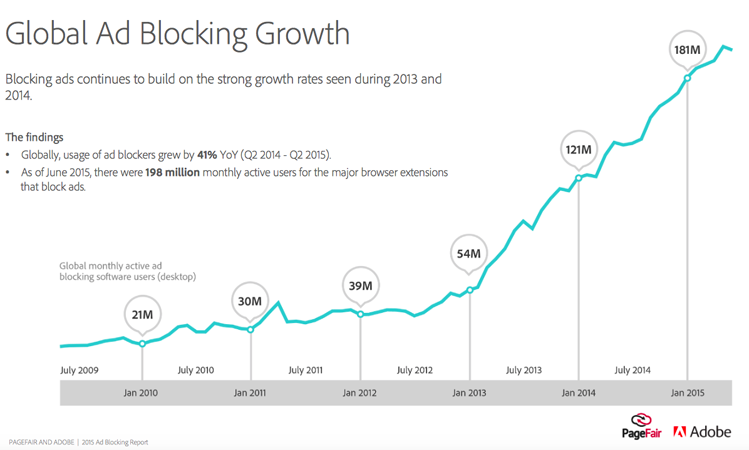 Why is ad blocking a big deal? 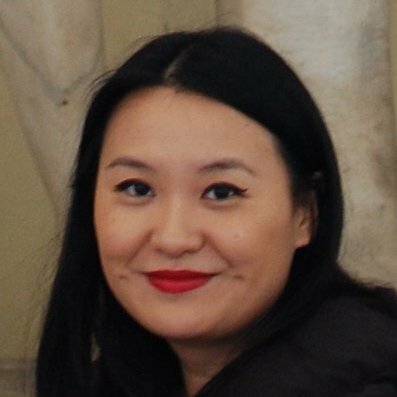 When ads aren't displayed, content sites that host ads and the advertiser lose out on potential revenue. And the losses have been enormous. 8) Adoption of mobile ad blocking is growing even faster (90% YOY) than desktop-based ad blocking adoption. 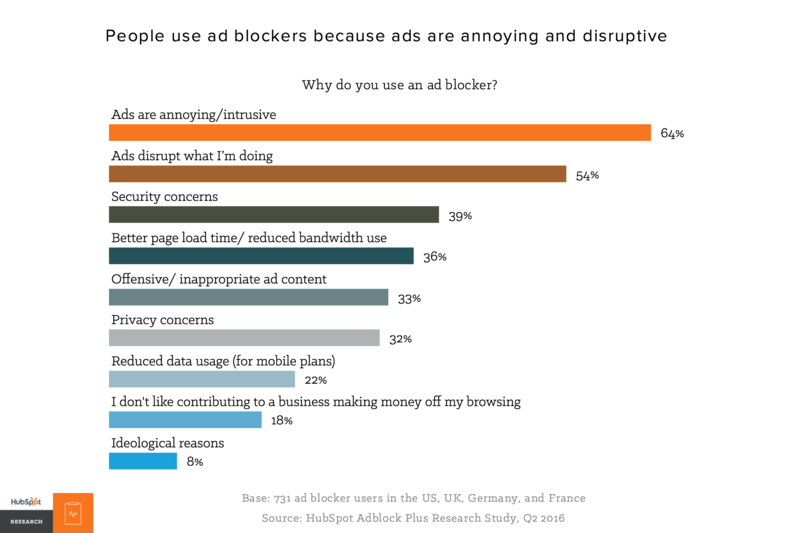 A study from Priori Data suggests 419 million people (a fifth of the world's internet users) have some type of mobile ad blocker installed. 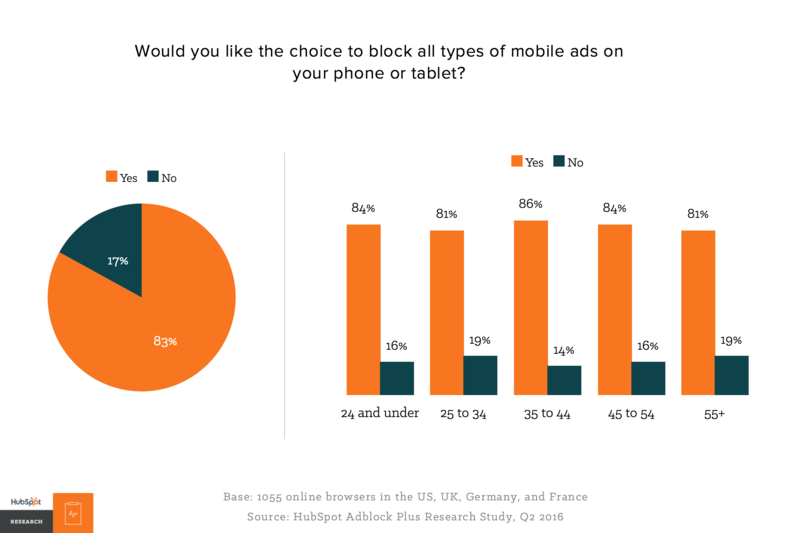 9) 83% of online browsers in the U.S., U.K., Germany, and France say they'd like to block mobile ads. 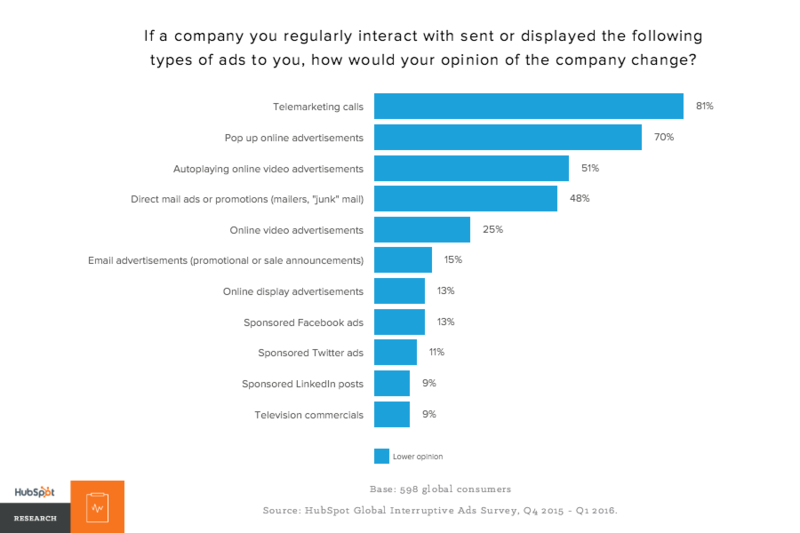 11) When asked about the best way to support websites (to cover costs), the majority (68%) of respondents say they don't mind seeing ads -- as long as they're not annoying.